Warriors’ balletic basketball and award-winning local SF food go together like passes from Draymond Green to Steph Curry. A perfect 3 pointer. 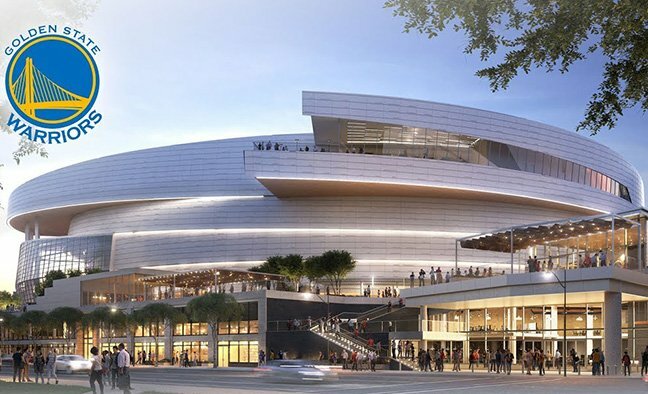 With the Golden State Warriors’ Chase Center dribbling down court towards completion, the food restaurants in the Center are taking on more of a foodie aura as top local eateries are joining the team. The Center seats 18,000, which is a lot of hungry, discerning fans. Plus the Warriors’ Center includes two office buildings, and a plaza as big as Union Square for retail stores. A journey to the Warriors’ Center is also an odyssey for excellent eating options, either before the game, or courtside while the game pounds the court. Two more restaurants are joining the roster. Two SF-based incubator kitchens—La Cocina and Old Skool Café (a youth run supper club)—are in as part of a push by the Center’s executives to be inclusive of women, youth and minority entrepreneurs. Other fine eateries coming to the Center are: Tacolicious, Bakesale Betty, Sam’s Chowder House, Tony G’s Pizza, and some other smaller operations, plus a really good variety of food carts for all kinds of delectables.